On May 25th, Europe's new General Data Protection Regulation (GDPR) law goes into effect. This will prevent personal data from being used without express consent. The penalty for failing to comply with this new law can be as high as 4% of a company's global revenue. Considering that Apple could face a fine in excess of $9 billion, it behooves the company to find a way to prevent any Facebook-esque privacy issues from occurring. Meanwhile, by no coincidence, Apple is introducing a Data and Privacy website for its users in the EU just two days before GDPR goes into effect. 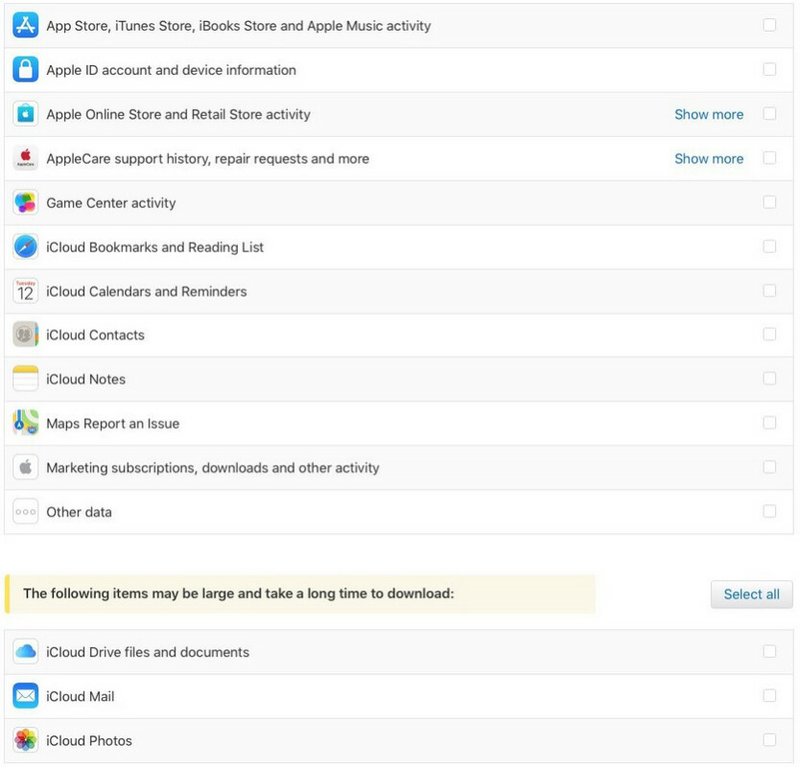 On the page, Apple users can request a download that includes all of the information and data that is connected with their Apple ID. This includes any activity (including purchases) made on the App Store, iTunes Store, iBooks Store, Apple Music and Apple's online store. It will also reveal any repairs handled by Apple Care, bookmarks saved on iCloud, reminders and appointments posted on their calendars, documents and photos. Apple says that users should be prepared to wait a week after making their request to receive the data, and the company will send a notification when the records are ready to be downloaded. The files are automatically deleted after two weeks. 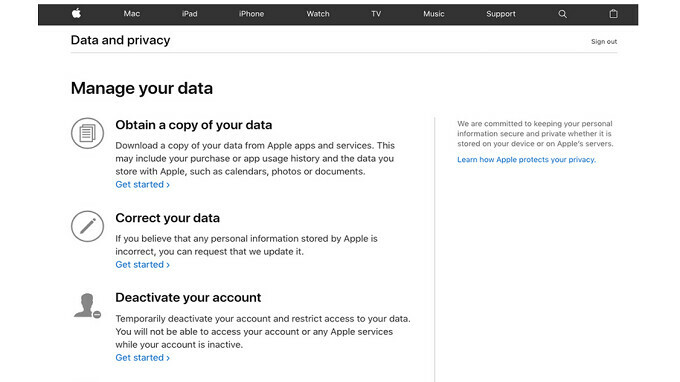 To see all this, Apple users in the EU need to tap their way to privacy.apple.com and sign-in using their Apple ID and password. Any information that is incorrect can be updated by sending a request to Apple. Other options include temporarily deactivating the account, which would prevent users from accessing the content they've purchased from the App Store, iBooks or iTunes. And FaceTime and iMessage would be disabled. Another option will allow users to permanently close their Apple account. The EU is doing great things, while the US is struggling with fundamental things such as net neutrality. The EU isn't perfect, but they do look fantastic compared to essentially the rest of the world.